In 2006, Jabari Price, Michael Holoman, and Gerard Droze, employed by the same company, became close friends over regular lunch conversations. The 3 young men frequently found their conversations gravitating towards one particular topic: manhood. In those discussions a variety of topics related to manhood were talked about, ranging from their personal daily experiences, to in depth analysis about the impact of the men in their lives. In early 2009, the three friends began to feel as if they were together for a special reason and began to explore the ways that they could work together to fulfill the purpose of their meeting. After some discussion, they settled on the idea to write a book about the one topic that was near and dear to all their hearts: manhood. In August of 2009 they began the process of writing their book, The Makings of a Man. During the writing process, they regularly attended the Power Lunch services at The Meeting Place Church International in Columbia, South Carolina. After the services they would often sit around the lunch table to discuss the progress of the book and to catch up with each other. Because of their business-like demeanor and dress, one of the frequent Power Lunch attendees nicknamed them “The Board of Directors”. The guys liked the name so much that they decided to use it as their group name. In 2010, Jabari, Michael, and Gerard formally founded The Board of Directors, LLC, an organization dedicated to nurturing the development of manhood throughout society via mentorship and personal accountability. Their debut book, The Makings of a Man, hit shelves in November of 2010. Since then, the guys have appeared in numerous television and radio interviews and have been guest speakers at several events. They’ve also started a mentoring program at WG Sanders Middle School, working with boys in grades 6-8, and had a weekly radio segment on Speaking With Carl Thornton, Jr. on WTHB 1550AM in Augusta, SC that ran from January 2012 through August 2013. 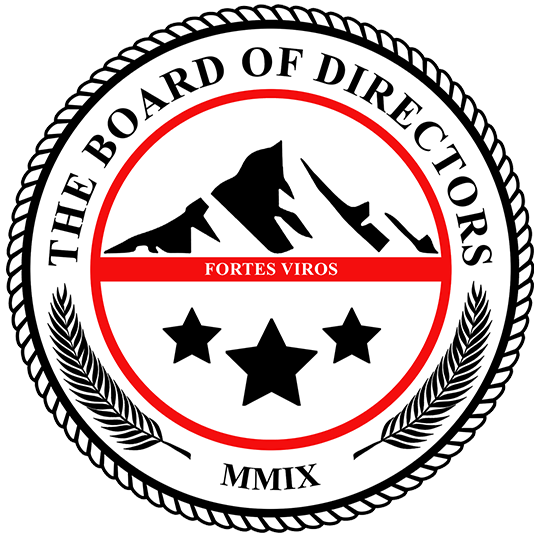 In 2013, The Board of Directors founded their non-profit wing, The Makings of a Man Foundation, to further their ability to give back to the community. In January 2016 they began their monthly mentoring program, Manhood Academy, where they take young men through the curriculum designed around their debut book The Makings of a Man. They released their second book, The Makings of a Dream, in December 2015. Inspired by the number of people who shared their dream of writing a book but never making that dream come true, the guys put into writing the steps they used to accomplish the things we dream of making happen. Today, Michael and Gerard continue to work towards the goal of equipping young men with the tools they need to be successful leaders in their families and greater society. Manhood in its truest form is attainable for all that wish to have “The Makings of a Man”!